A beautiful 49-minutes round trip starting from Ried in Bavaria, Germany. Recorded on a windy spring day at noon. All the trees are moving in the wind as if they were waving hello. 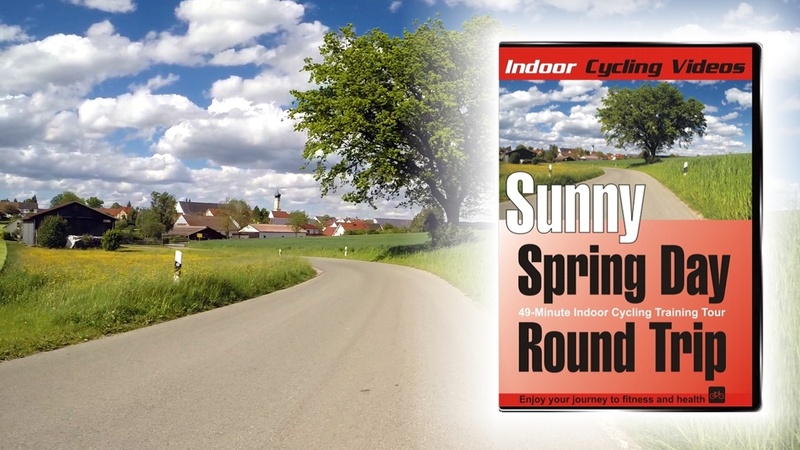 It’s an awesome indoor cycling video, I (Cornelia) highly recommend this video! Price includes international shipping from the US! Yes, it’s an “all regions” DVD. Format is NTSC but usually DVD players do play all formats. I didn’t test the DVD with an old tube TV (analog system) but with the new digital screen it’ll work.